The kind of class kids want to be in! Designed to give children a creative and expressive outlet, this is a fun space for children to become confident in their developing skills and with like-minded peers. For developing little artists Run Mouse Run presents cartoons workshops hints and tips and drawing techniques with worksheets provided! Kids love the Q&A segment, when they get to ask how to draw their favourite things. The class is conducted by cartoonist Mike Nicholas. 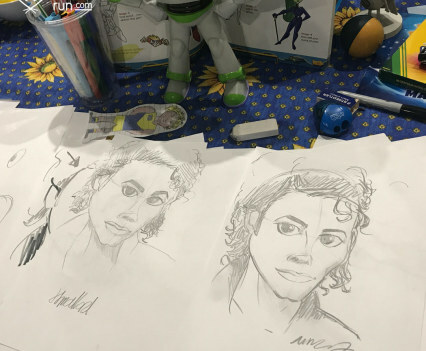 Most suitable for children in school grades 4 to 7 – Renowned cartoonist teacher (15 years experience) – Valid Working with Children Check. 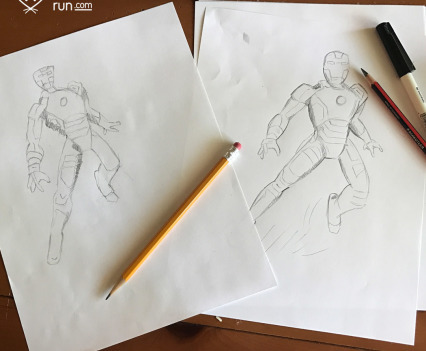 One-on-one drawing lessons are great for those kids with a unique interest in drawing and want foundations to push their development along. Will visit your home or organise a space. *A Travel Fee may also apply for extended travel distance. Cartoon Workshops are available for schools, community centres, events, libraries and hospitals. The workshops can suit a variety of organsations and settings and have been enjoyed in locations like the Subiaco Police and Community Youth Centre, Amherst Village Library, Propel Youth Arts Centre and Trinity College Junior School. If you would like a workshop as part of your next program, class or event please contact Mike today! *for up to 25-30 children | 2 hour minimum (90 min workshop with set up time) | A Travel Fee may also apply for extended travel distance | School workshop packages available | Organisations can provide materials (pencils, erasers, sharpeners and paper) or Run Mouse Run can organise for a Materials Cost addition. Run Mouse Run conducts workshops in spaces all around Perth. If you would like to be put on my email list and receive future workshops and locations, please enter details in the online form at the bottom of this page or follow Run Mouse Run’s Facebook page, where alerts of upcoming workshops are posted. 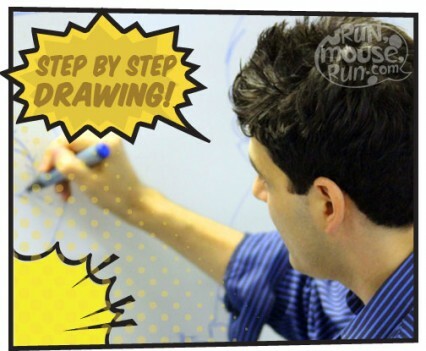 If you wish Run Mouse Run to bring a fun cartoon workshop to kids in your community please let me know where you are!